Filtronica, Inc. has been founded to change the way back to where a customer has a choice. Novel idea? Just try to order a few custom filters and anyone will know what this is all about. At Filtronica we specialize in custom filters. We realize that you do not want to buy out the entire inventory or pay several thousand dollars minimum to get a couple of filters. Our engineering staff will review your requirements and together with you, design a filter to fit your needs. We specialize in the design of "Inverter/Converter filters" to help you reduce harmonics and improve power factor correction. Our "PRO SINE" line of filters can be used for variable frequency motor drives, both for the input as well as the output of the inverter. Styles range from single line filters to complex four-wire designs for traction motors in the most demanding applications. If your need is for a simple filter in a complex package, look no further, we can help. For our RV / Motor home enthusiasts, we have answers for your R V inverter issues as well. Have those pesky lines on your TV? Can't run your microwave off the inverter? Your VCR won't work properly? We have designs to remedy those issues. Our 15 Amp and 25 Amp 120 VAC "POWER CLEAN" filters will be your answer. Just look or ask for the "PRO SINE" and "POWER CLEAN" product at your local RV dealer or at our web site. We are looking forward to talking to you about your filter issues. design the enclosure to suit your needs. Of course we can give you the standard enclosures as well. 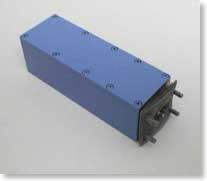 The filters are designed to reduce switching noise getting back to the line. They will also aid in the power factor correction of the protected unit. Please ask our engineering staff for details. All filters are designed to withstand the rigors of industrial applications. The physical dimensions are selected to provide the most economical mounting. "Top of filter" mounting of the inverter is a possibility. We realize the value of your space. The entire line is designed to conform to VDE0565-3/ IEC 950/ UL1283. Overload capability of 1.3 x max. is standard. 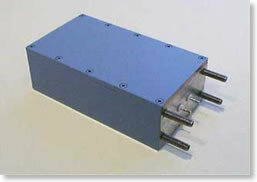 All units are tested to withstand 2,100 VDC line to line and 2,700 VDC line to ground. DIN IEC 68 Part 1 25/085/21 is the applicable environmental specification. Filtronica is pleased to offer a reliable answer to your variable frequency motor drive issues. This filter line is designed to eliminate the present problems of arcing, insulation failure, noise and bearing failure and other associated issues with the variable frequency drives. Mis-matched impedances are a thing of the past. Your motor will run much quieter, cooler and more efficient. Your bearings will operate normal; they will not fail any longer due to magnetic disturbances. Our line of filters can be delivered as an open design, fitting right into your enclosure, or we can deliver the appropriate enclosure as well. 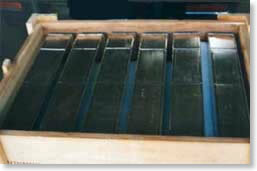 Depending upon the requirements, our filters are designed around laminated cores or powder cores. We will work with you to find the most economical design. Since these filters are very sensitive to the application in which they have to perform, we, at Filtronica invite you to share your comments about sizing and electrical parameters with us to allow us to design the filter to fit your needs, exactly. Filtronica, Inc. is pleased to offer a completely different thought about EMI / RFI filters; how often have you wished you could get the filter that fits your application? Now you can. Filtronica , Inc. offers a unique service, where you the customer, tells us how the filter should fit, function and perform. 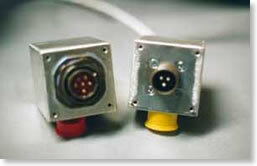 Our engineers will work with you in designing a prototype to fit your needs. They will examine your requirements and deliver to you a filter system which will take your entire system through approval. Prototype costs can be rolled into later orders. We can provide filters designed by such earlier companies such as 'POTTER PRODUCTION", "GENISTRON" or "GENISCO". Please contact us with your requirements. A fresh new look? Yes and No. Yes- because you are in the drivers seat. You don't need to look at volumes of catalogs, just send us your specifications, the rest is done. No- This type of service has been offered before, but…in the hurry of getting to the big market, this service was lost. Now you can have it again from us. We do not intend to sell you filters that can be purchased from large inventories, however, if you need a custom filter in a short time, come talk to us. We will not have a catalog with all kinds of (obsolete) designs, rather we will give you the freshest idea in the filter industry. So, call us and we will attempt to give you the best service and fastest turn-around in the industry.